Adam Levine Chibi. Adam Levine as a chibi cutout I recently made. His tiger tattoo on his left arm is a chibi, too. 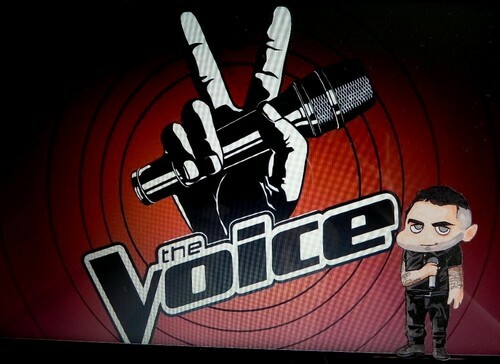 Tools include copic markers, scissors, and a pencil.. HD Wallpaper and background images in the The Voice club tagged: adamlevine chibi thevoice maroon5 leadsinger music band nbc. This The Voice fan art might contain 기호, 포스터, 텍스트, 칠판, 사인, 서명, 창구, and 개찰 구.